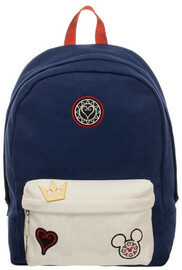 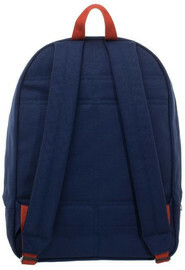 The Kingdom Hearts Backpack is a navy blue and white bag with Kingdom Hearts Patches embellishing the front pocket of the bag and the Kingdom Hearts emblem at the top. 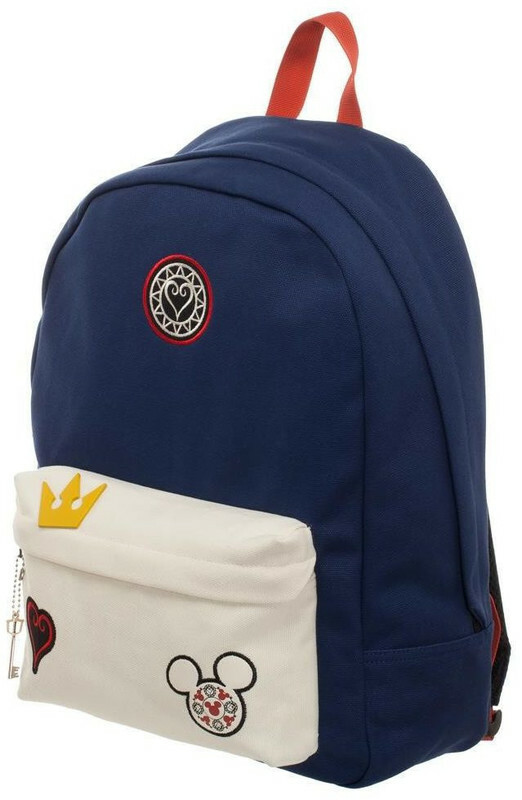 You'll recognize both Mickey's ears and the Kingdom Hearts red heart and golden crown patches. 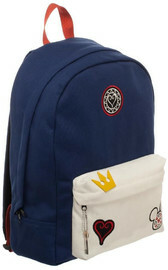 You'll have plenty of room for all of the gear you need to treck through the many different worlds of the popular role-playing game. 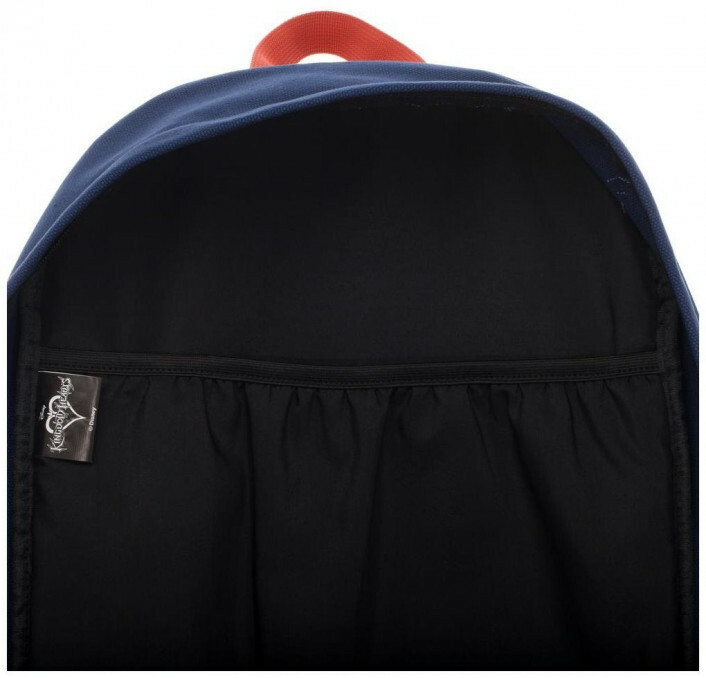 There is a separate storage compartment to keep your laptop safe and secure and the outer pocket is great for storing your smaller possessions. This backpack is a great gift item for the gamer fan and Kingdom Hearts lover in your life.